Just before serving, pulse cashews in a food processor or electric coffee/spice grinder until very finely ground, then add to curry along with yogurt and simmer gently, uncovered, stirring, until sauce is thickened, about 5 minutes. 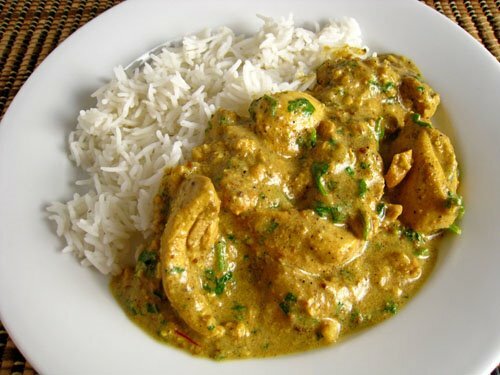 Cooks’ note: Curry, without yogurt and cashews, can be made 5 days ahead and cooled completely, uncovered, then chilled, covered. 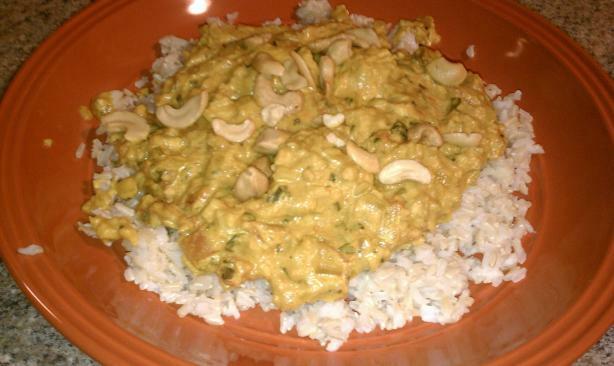 Reheat over low heat before stirring in yogurt and ground cashews.